Stay in the know about the London restaurant scene. You can learn about new restaurant openings, special events, and more. Also, check out GAYOT's calendar of food events in London. 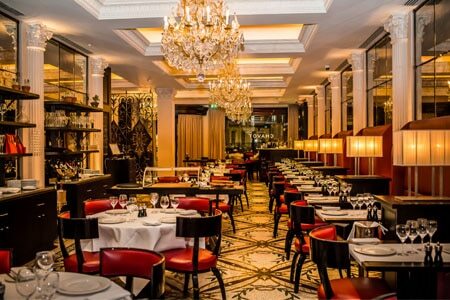 Daniel Boulud's wine bar Bar Boulud at Mandarin Oriental Hyde Park has reopened. 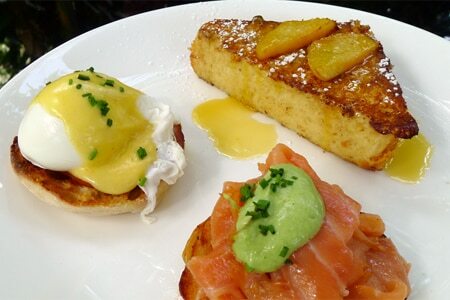 Bar Boulud, Mandarin Oriental Hyde Park, 66 Knightsbridge, London SW1X 7LA, 020-7201 3899. Whether you're looking for an intimate affair to share with close family, or an out-of-doors afternoon spent soaking in the springtime with mimosas and eggs Benedict, check out GAYOT's picks for the Best Easter Brunch Restaurants. Chef Daniel Humm and restaurateur Will Guidara of New York's Eleven Madison Park and The NoMad will open Davies and Brook at Claridge's in Summer 2019. Davies and Brook, Claridge's, Brook St., London, UK W1K 4HR, no phone. According to its website, Wild Honey is temporarily closed until further notice. Wild Honey, 12 St. George St., London W1S 2FB, 020-7758 9160. L'Atelier de Joël Robuchon's London location is scheduled to close on April 14, 2019. 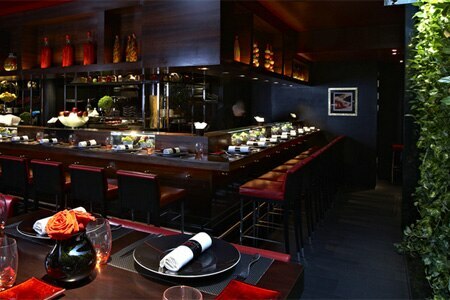 L'Atelier de Joël Robuchon, 13-15 West St., London WC2H 9NE, 020-7010 8600. Kensington Place has closed. The restaurant was a London favourite, serving the kind of good British cooking that kept the punters happy. Kensington Place, 201-209 Kensington Church St., London W8 7LX, no phone. Fera at Claridge's shuttered at the end of 2018. Fera at Claridge's, Claridge's, Brook St., London W1K 4HR, 020-7107 8888.